Just a little critter to slink around on All Hollow's Eve! 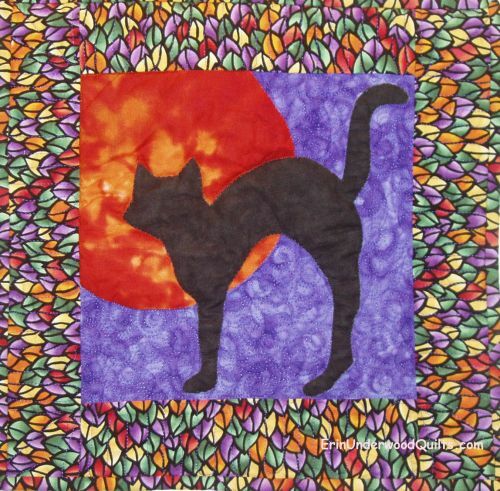 This quilt was appliqued using a turn-edge machine applique method. Wash-Away applique sheets made the whole process a breeze!